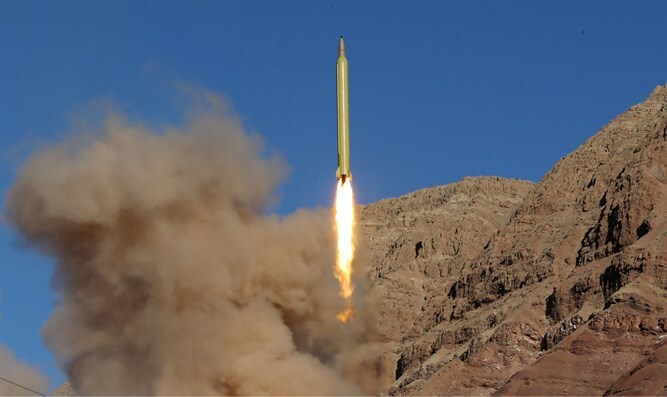 Iran has built a third underground ballistic missile production factory and will keep developing its missile program, the semi-official Fars news agency reported today, Thursday, according to Reuters. "Iran's third underground factory has been built by the Guards in recent years ... We will continue to further develop our missile capabilities energetically," Fars quoted the head of the Republican Guard’s airspace division, Amirali Hajizadeh, as saying. Since taking office in January, U.S. President Donald Trump has put Tehran "on notice" by imposing new sanctions in response to Iran's recent missile launches. Iran's Sunni Gulf neighbors and Israel have expressed concerns over Tehran's ballistic missile program, seeing it as a threat to world security. "It is natural that our enemies, America and the Zionist regime, are angry with our missile program because they want Iran to be in a weak position," Hajizadeh said. In retaliation for the new U.S. sanctions, Iran had added nine American individuals and companies to its own list of 15 U.S. companies for alleged human rights violations and for cooperation with Israel.